New Swabia (Norwegian and German: Neuschwabenland) is a cartographic name sometimes given to an area of Antarctica between 20°E and 10°W in Queen Maud Land, which is claimed as a Norwegian dependent territory under the Antarctic Treaty System. New Swabia was explored by Germany in early 1939 and named after that expedition's ship, Schwabenland, itself named after the German region of Swabia. Like many other countries, Germany sent expeditions to the Antarctic region in the late 19th and early 20th centuries, most of which were scientific. The late 19th century expeditions to the Southern Ocean, South Georgia, the Kerguelen Islands, and the Crozet Islands were astronomical, meteorological, and hydrological, mostly in close collaboration with scientific teams from other countries. As the 19th century ended Germany began to focus on Antarctica. The first German expedition to Antarctica was the Gauss expedition from 1901 to 1903. Led by Arctic veteran and geology professor Erich von Drygalski, this was the first expedition to use a hot-air balloon in Antarctica. It also found and named Kaiser Wilhelm II Land. The second German Antarctic expedition (1911–1912) was led by Wilhelm Filchner with a goal of crossing Antarctica to learn if it was one piece of land. As happened with other such early attempts, the crossing failed before it even began. 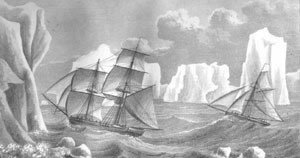 The expedition discovered and named the Luitpold Coast and the Filchner Ice Shelf. A German whaling fleet was put to sea in 1937 and, upon its successful return in early 1938, plans for a third German Antarctic expedition were drawn up. The third German Antarctic Expedition (1938–1939) was led by Alfred Ritscher (1879–1963), a captain in the German Navy. The main purpose was to find an area in Antarctica for a German whaling station, as a way to increase Germany's production of fat. Whale oil was then the most important raw material for the production of margarine and soap in Germany and the country was the second largest purchaser of Norwegian whale oil, importing some 200,000 metric tonnes annually. Besides the disadvantage of being dependent on imports, it was thought that Germany would soon be at war, which was considered to put too much strain on Germany's foreign currency reserves. Another goal was to scout possible locations for a German naval base. On 17 December 1938, the New Swabia Expedition left Hamburg for Antarctica aboard MS Schwabenland (a freighter built in 1925 and renamed in 1934 after the Swabia region in southern Germany) which could also carry and catapult aircraft. The secret expedition had 33 members plus Schwabenland's crew of 24. On 19 January 1939 the ship arrived at the Princess Martha Coast, in an area which had lately been claimed by Norway as Queen Maud Land and began charting the region. Nazi German flags were placed on the sea ice along the coast. Naming the area Neu-Schwabenland after the ship, the expedition established a temporary base and in the following weeks teams walked along the coast recording claim reservations on hills and other significant landmarks. Seven photographic survey flights were made by the ship's two Dornier Wal seaplanes named Passat and Boreas. About a dozen 1.2-meter (3.9 ft)-long aluminum arrows, with 30-centimeter (12 in) steel cones and three upper stabilizer wings embossed with swastikas, were airdropped onto the ice at turning points of the flight polygons (these arrows had been tested on the Pasterze glacier in Austria before the expedition). None of these have ever been recovered. Eight more flights were made to areas of keen interest and on these trips, some of the photos were taken with colour film. Altogether they flew over hundreds of thousands of square kilometers and took more than 16,000 aerial photographs, some of which were published after the war by Ritscher. The ice-free Schirmacher Oasis, which now hosts the Maitri and Novolazarevskaya research stations, was spotted from the air by Richardheinrich Schirmacher (who named it after himself) shortly before the Schwabenland left the Antarctic coast on 6 February 1939. On its return trip to Germany the expedition made oceanographic studies near Bouvet Island and Fernando de Noronha, arriving back in Hamburg on 11 April 1939. Meanwhile, the Norwegian government had learned about the expedition through reports from whalers along the coast of Queen Maud Land. Although some, notably Norwegian writer Bjarne Aagaard and German geographer Ernst Herrmann, have claimed that Germany never actually occupied the territory, it is well documented that Germany issued a decree about the establishment of a German Antarctic Sector called New Swabia after the expedition's return in August 1939. Germany made no formal territorial claims to New Swabia. No whaling station or other lasting bases were built there by Germany until the Georg-von-Neumayer-Station, a research facility, was established in 1981. Germany's current Neumayer-Station III is also in the region. New Swabia is a cartographic area of Queen Maud Land which within Norway is administered as a Norwegian dependent territory under the Antarctic Treaty System by the Polar Affairs Department of the Ministry of Justice and the Police. ^ a b Hitler's Antarctic base: the myth and the reality, by Colin Summerhayes and Peter Beeching, Polar Record, Volume 43 Issue 1, pp.1–21 Cambridge University Press, 2007. D. T. Murphy, German exploration of the polar world. A history, 1870–1940 (Nebraska 2002). Drygalski Island is an ice-capped island that is 20.4 kilometres (11 nmi) long and rises to 325 m (1,066 ft) in the Davis Sea of the Southern Ocean, about 85 km (53 mi) north of the coast of Queen Mary Land and 45 km (28 mi) north-northeast of Cape Filchner. The island has an area of 220 km2 (85 sq mi). The Drygalski Mountains are a group of scattered mountains and nunataks lying between the Filchner Mountains and the Kurze Mountains in the Orvin Mountains of Queen Maud Land. They were discovered by the Third German Antarctic Expedition (1938–1939), led by Captain Alfred Ritscher, and named for Professor Erich von Drygalski, the leader of the First German Antarctica Expedition of 1901-03. They were remapped from air photos and survey by the Sixth Norwegian Antarctic Expedition, 1956–60. The Schirmacher Oasis is a 25 km long and up to 3 km wide ice-free plateau with more than 100 freshwater lakes. It is situated in the Schirmacher Hills on the Princess Astrid Coast in Queen Maud Land in East Antarctica, and is on average 100 metres above sea level. With an area of 34 km², the Schirmacher Oasis ranks among the smallest Antarctic oases and is a typical polar desert. Located at the northern end of the Borg Massif is the summit of Borg Mountain, a large, flattish, ice-topped mountain with many exposed rock cliffs. Located at the northeastern end of the Borg Massif is the summit of Ytstenut Peak. The name "Ytstenut" means "outermost peak" in the Norwegian language. Located at the southern end of the Borg Massif is the summit of Hogfonna Mountain. The name "Hogfonna" means "the high snowfield" in the Norwegian language. Mount Dallmann is a bold mountain, 2,485 metres (8,150 ft) high, 11 miles (18 km) east of the northern portion of the Conrad Mountains, in the Orvin Mountains of Queen Maud Land, Antarctica. It was discovered by the Third German Antarctic Expedition (1938–1939), led by Captain Alfred Ritscher, and named for Eduard Dallmann, a German whaling captain who explored along the west coast of the Antarctic Peninsula in 1873–1874. Dallmann was the first person to navigate under the German flag in Antarctic waters. Queen Maud Land is a c. 2.7 million square kilometre (1.04 million sq mi) region of Antarctica claimed as a dependent territory by Norway. The territory lies between 20° west and 45° east, between the claimed British Antarctic Territory to the west and the similarly claimed Australian Antarctic Territory to the east. On most maps there had been an unclaimed area between Queen Maud Land's borders of 1939 and the South Pole until 12 June 2015 when Norway formally annexed that area. Positioned in East Antarctica, the territory comprises about one-fifth of the total area of Antarctica. 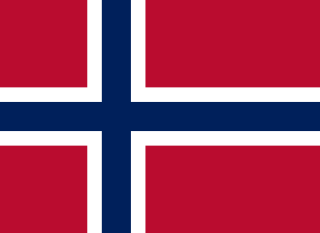 The claim is named after the Norwegian queen Maud of Wales (1869–1938). The Mühlig-Hofmann Mountains is a major group of associated mountain features extending east to west for 100 km (62 mi) between the Gjelsvik Mountains and the Orvin Mountains in Queen Maud Land, East Antarctica. With its summit at 3,148 metres (10,328 ft), the massive Jøkulkyrkja Mountain forms the highest point in the Mühlig-Hofmann Mountains. The Orvin Mountains constitute a major group of mountain ranges, extending for about 100 km (62 mi) between the Wohlthat Mountains and the Mühlig-Hofmann Mountains in Queen Maud Land. With its summit at 3,055 metres (10,023 ft), the massive Sandeggtind Peak forms the highest point in the Conrad Mountains, a subrange of the Orvin Mountains. The Conrad Mountains are a narrow chain of mountains, 30 km (19 mi) long, located between the Gagarin Mountains and Mount Dallmann in Queen Maud Land, Antarctica. The Conrad Mountains are a subrange of the Orvin Mountains. With its summit at 3,055 metres (10,023 ft), the massive Sandeggtind Peak forms the highest point in the Conrad Mountains. Risting Glacier is a glacier, 4.5 nautical miles long, lying north of Jenkins Glacier and flowing southeast into the head of Drygalski Fjord in the south part of South Georgia. Surveyed by the South Georgia Survey (SGS) under Duncan Carse in the period 1951-57, and named by the United Kingdom Antarctic Place-Names Committee (UK-APC) for Sigurd Risting (1870-1935), Norwegian whaling historian; secretary of Norsk Hvalfangerforening, 1918-35, and editor of Norsk Hvalfangst-Tidende, 1922-35. The German Antarctic Expedition under Wilhelm Filchner, 1911-12, named Drygalski Fjord and this glacier for Erich von Drygalski, leader of the German Antarctic Expedition, 1901-03, but the name for the glacier did not survive. A number of features in Antarctica, including Drygalski Glacier, are named for Drygalski. The Kurze Mountains are a range of mainly bare rock peaks, ridges and mountains about 20 nautical miles (40 km) long and 6 nautical miles (11 km) wide in the Orvin Mountains of Queen Maud Land, Antarctica. The feature stands between the Drygalski Mountains on the west and the Gagarin Mountains and Conrad Mountains on the east. This list of mountains of Queen Maud Land contains mountains with a registered elevation of higher than 2000 metres above sea level. The availability of accurate data for this region is limited, making the list both incomplete and inaccurate. Prominence data is generally not available, and the list includes rock formations such as mountain peaks, ridges, nunataks, cliffs and crags. Ice domes are not included in the list.